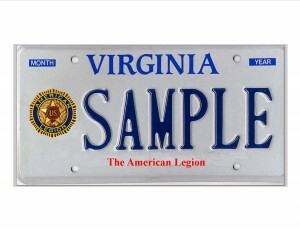 The Department of Virginia is in the process of obtaining an American Legion Virginia License plate. To accomplish this we must obtain 450 applications. First; it is necessary to establish how many Legionnaires will apply for the new license plate. An exploratory questionnaire is available to Virginia Legionnaires. The brief form asks for NAME, ADDRESS and EMAIL ADDRESS so we can contact you once we have reached the 450 interested members. The special plate showing our American Legion Emblem is available for all of your noncommercial cars, trucks and motorcycles and can be personalized or you can use your existing personalization. The special license plate costs $10.00 a year without personalization. That is less than 2 combo meals at McDonalds! NO money right now……we must meet our DMV requirements first. 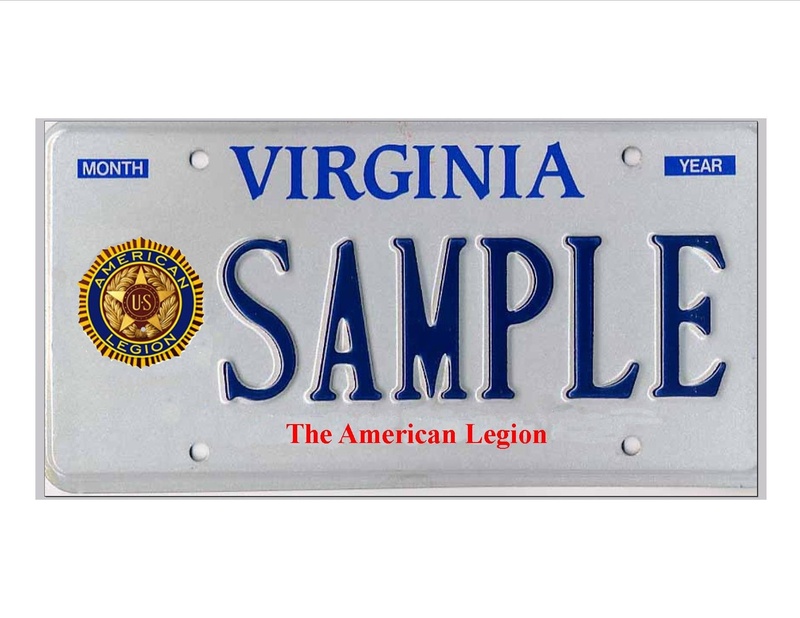 The American Legion License Plate will be a rolling billboard advertising our organization, 24 hours a day seven days a week. It will also be a tribute to you as a Veteran since you cannot be a legion member with being a veteran.